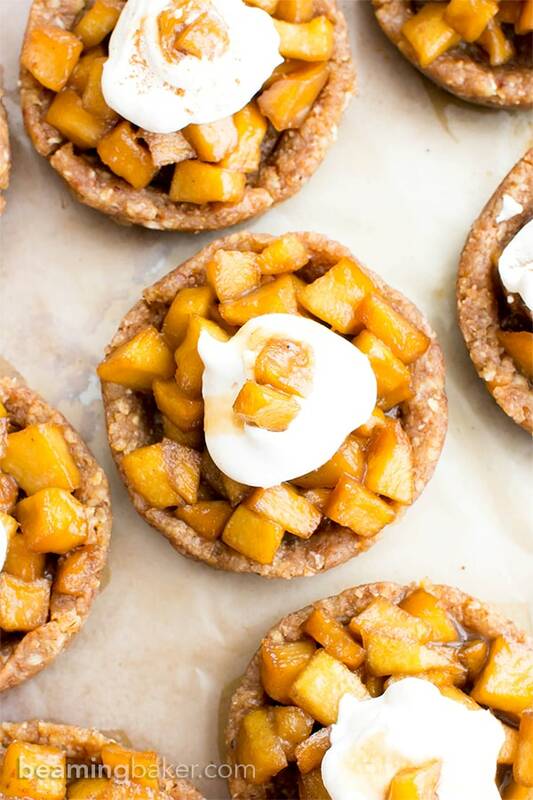 No Bake Caramel Apple Tartlets (V+GF): a whole ingredient recipe for mini caramel pecan tarts bursting with sweet apple flavor. Vegan, Gluten Free, Dairy Free. We’re only 1 week away from the first day of autumn. 🙂 How does it feel? Is it getting a bit brisk on your end? Are the temperatures low enough for you to start eyeing your coziest, oldest, worn-in, at-home-only sweater? There’s just something about fall that feels like a fresh start. We’ve all come back from our summer vacays, had our mental-check-out days from work, and spent the laziest times at the beach. But now that the kiddies are back in school and we’re starting to poke around the back of our coat closets for that one jacket that’s warm, but still fashionable, it’s time for a change. There’s excitement in the air. A new sense of energy and occasion. Fall is like a new beginning, in the middle of the year. And what could be better than that? 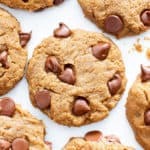 It’s time to usher in the wonder of fall, starting with its loveliest flavors: pumpkin, caramel apple, hot cocoa, spiced rum, chocolate and peanut butter (PB cups soooo = fall) and so much more. It’s time to warm up the oven again and start thinking about our best recipes. 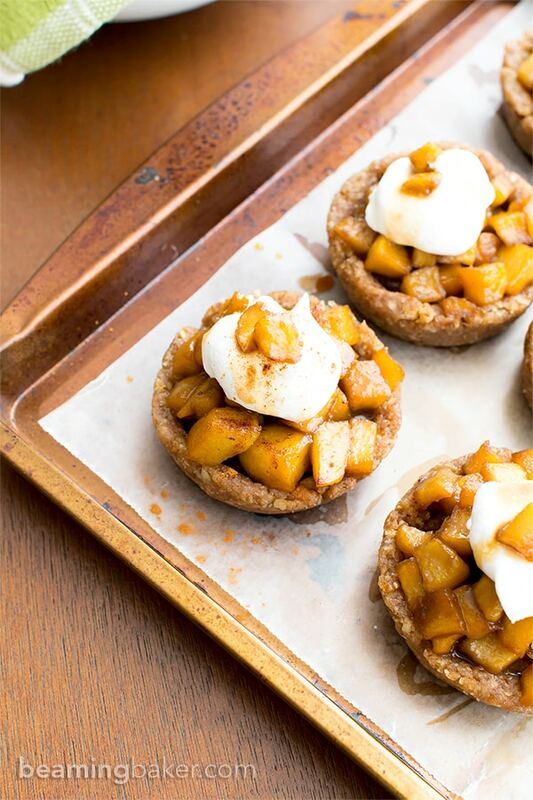 I hope that these caramel apple tartlets become one of your family favorites, for the holidays and til the end of time. Is that really too much to hope for? 😉 Okay, maybe it is. But still! Ahem, anyway, as I was saying… there’s something about the fall that always reminds me of family and great recipes. Growing up, times were kinda tough and money was definitely tight. But no matter how hard things got, my mom always made us kids feel special. For my mom, there was always time to get excited about something, always time to have fun, and always time to cook up something wonderful. I’m so grateful to my mom for showing me that the holidays are all about making the most of what you’ve got to bring joy and happiness to the ones you care for. To me, cooking and baking are one of the best and tastiest ways to achieve that. 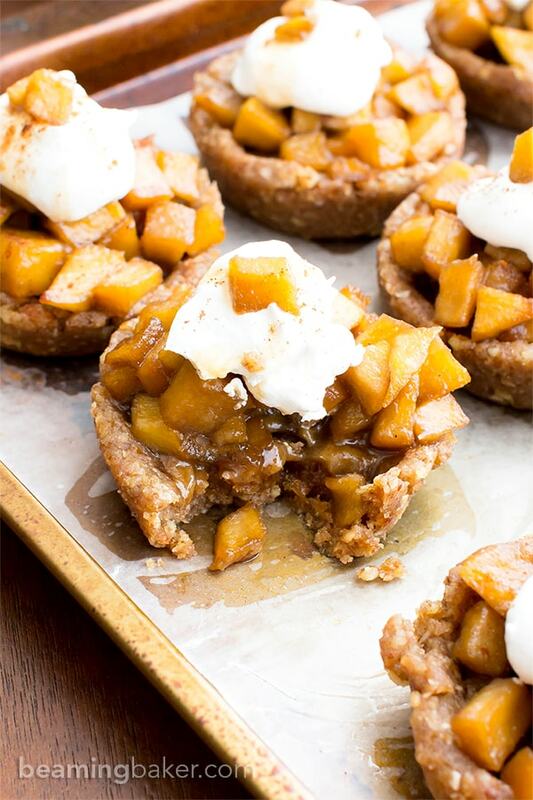 So I hope you get the chance to try your hand at these no bake caramel apple tartlets. The effort of each step is totally worth it. For you and your loved ones. I can’t wait to holiday with you. Yes, I insist on using “holiday” as a verb. 😉 Will you join me in making something wonderful for your family and friends this holiday season? More importantly, will you join me in using “holiday” as a verb? This could really turn into something. Tell me all about your favorite holiday traditions. What do you look forward to doing with friends and family every year? Scoop about 1 ½ tablespoons of this crust mixture into each muffin cup. 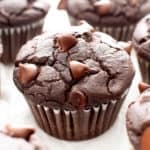 Using your hands, press and shape the dough into a cup with a deep center that fills half of the muffin cup. Repeat until all cups are done. Place the muffin pan into the freezer for 15 minutes or more while you prepare the caramel filling. 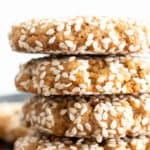 Make the date caramel filling: Add 4 dates and nut butter to the food processor. Blend until dates turn into small pieces and the mixture is sticky. Add water, salt and vanilla. Blend until you get a crumbly, sticky mixture. There should not be any visible pieces of dates. Scrape down the sides of the processor as needed. - Storage notes: Store in an airtight container in the freezer for 1-2 weeks. Allow to thaw at room temperature for 1 hour before serving. 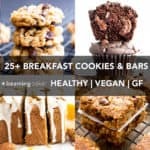 - More cozy recipes: One Bowl Gluten Free Vegan Pumpkin Bread, Gluten Free Vegan Trail Mix Cookies, Peanut Butter Chocolate Chip Oatmeal Breakfast Bars. Just one bowl to fall perfection. 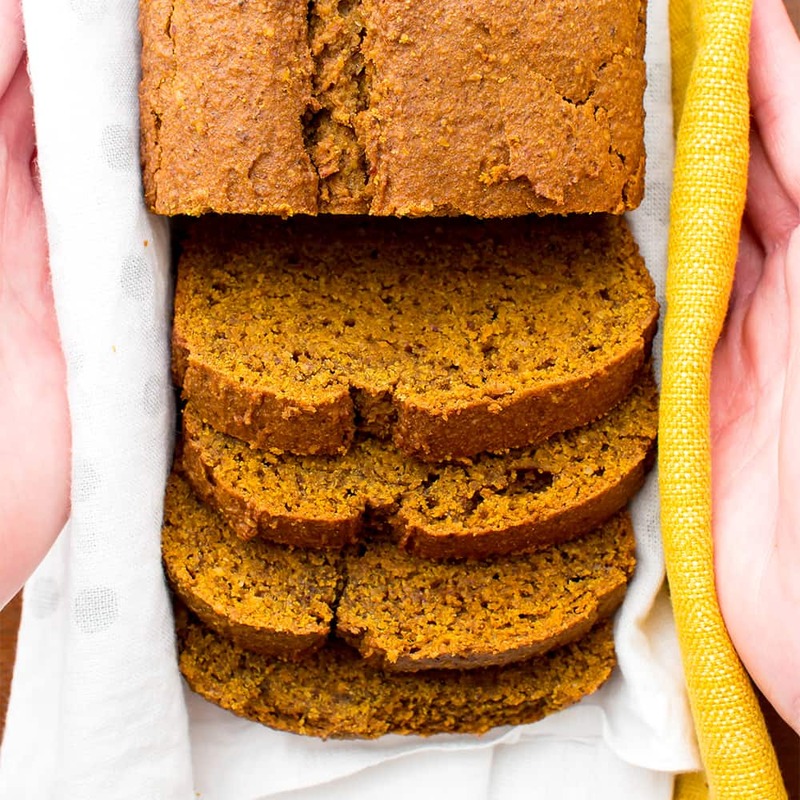 Try my One Bowl Gluten Free Vegan Pumpkin Bread (V, GF, Dairy Free). You’ll simply love it. Homemade candy = the best showstopper for all of your holiday gatherings. Like, for realsies. 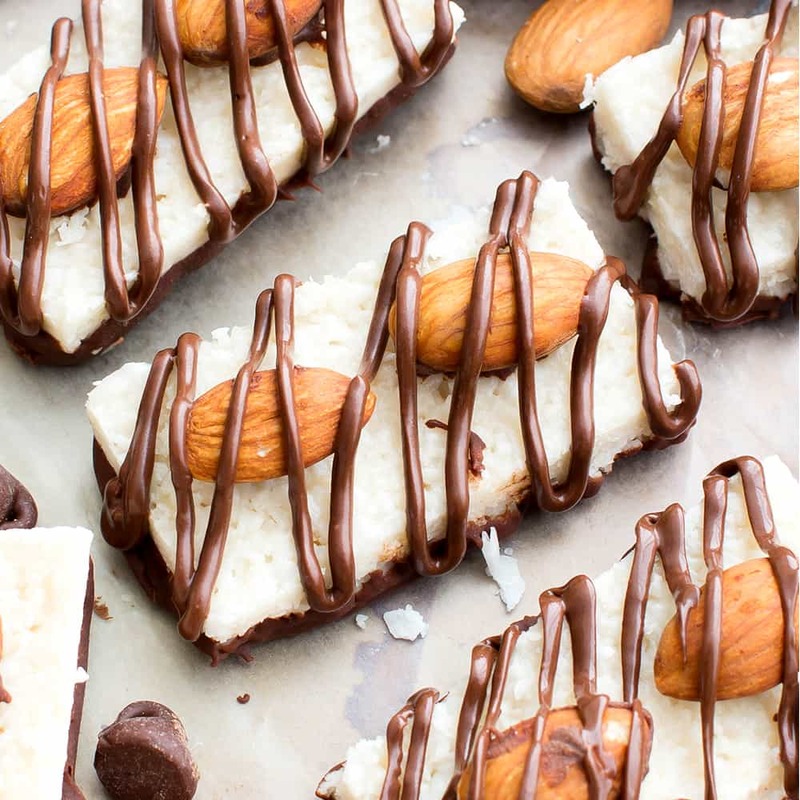 Try my Vegan Almond Joy (V, Gluten Free, Dairy Free). 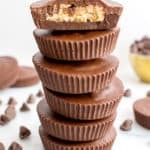 Because PB Cups always love getting an upgrade. Brownie style. 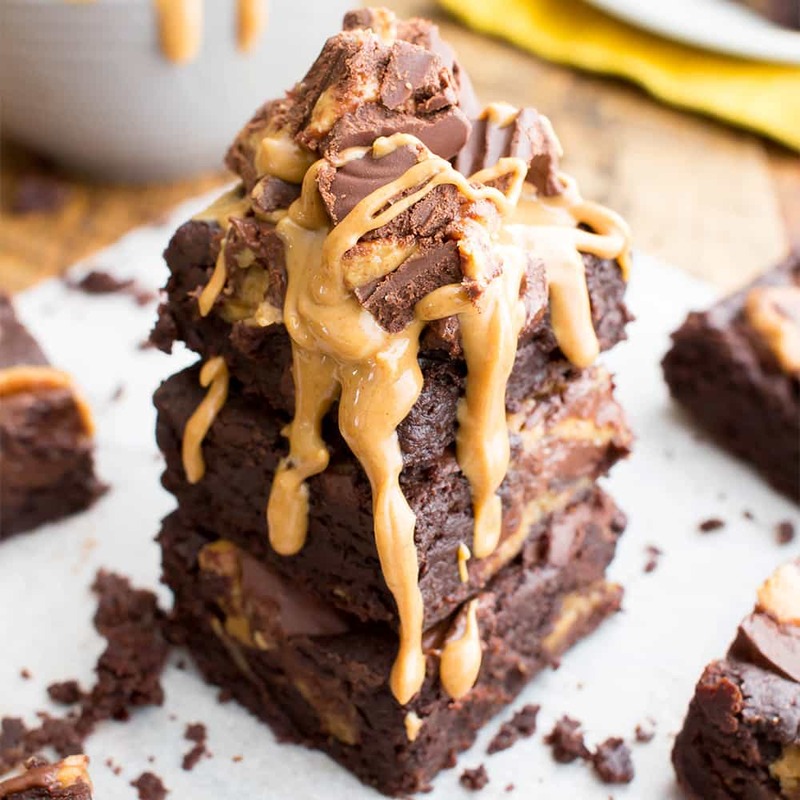 😉 Try my Gluten Free Vegan Peanut Butter Cup Brownies (V, GF, Dairy Free). So. Crazy. Good. 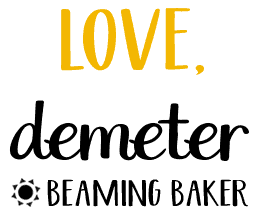 Your love for your family certainly comes through, Demeter! And what makes occasions or anything special is getting together with family and friends…especially if there is good food around 😉 Your mom sounds like one heck of a lady, that’s for sure! My favourite holiday time is definitely Christmas. There’s lots of get togethers and lots of food. Hubby and I were just talking about it the other day, actually and making plans. I love baking at Christmas too. I often do up little goodie baskets for my mom, mom-in-law and grandmother. It’s so fun putting it together. I’m so happy, Dawn. 🙂 After everything we’ve been through, it’s so good to have each other. <3 So fantastic that you love Christmas and spending all of that special time with family. 🙂 Can't wait to see what goodies you whip up! Thanks for the comments and pinning. Have a great weekend! Yes, Yes, I most definitely see “these caramel apple tartlets becom(ing) one of (my) family favorites, for the holidays and til the end of time.” for sure, Demeter! Especially seeing that crust and date caramel filling only use dates as a sweetener! You know Demeter, I stumbled on your blog this year and haven’t read must of your older stuff, but, from what I have read, your mom is one heck of an awesome lady! And you – why you are one heck of an awesome daughter to appreciate all that your mom did and try to do for her in return. So <3 you, and so glad I bumped into ya in this blogsphere! Oh, I’m sure these could easily become a favorite of mine! I love anything apple probably just as much as pumpkin. I bought 4 cans of pumpkin this morning because they were on sale. Can we say obsessed? I think it was the cooler morning weather. It was only 75 this morning in Phoenix which is cold for here. Fall is almost here and I am so ready for anything less than 100 degrees! 4 cans of pumpkin totally sound reasonable. <--this coming from someone who just bought like 9 cans of them. Hehe. See, don't you feel better about your purchase now? 😉 Crazy that 75 is cool there! Your mom sounds so awesome and I love that you focus on family and not material things with the holidays. We do a bigger deal for Thanksgiving because that side of the family is bigger but I really enjoy Christmas with my hubby’s family as it is all about hanging around the table and enjoying time together. 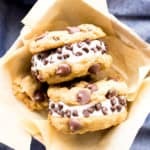 Thanks for reinforcing that for us with your blog and your recipes! Caramel and Apple made healthy 🙂 Being a forever Apple eater this is right up my alley. These look perfect for a Thanksgiving day gathering or actually anytime. Mommas are the best <3 My mom is my best friend and I don't know what I would do without her! She makes us all better in every way! I've only in more recent years come to appreciate the apple caramel combo, but boy….it is GOOD so yummy and delicious! 100% agreed. I love that your mom is your best friend. <3 Thank you for taking the time to tell me about her. 🙂 Apple caramel: YES! You are the best! I totally love thinking of fall as a new beginning. I think because back when we were in school it was a new year with new clothes and fresh notebooks and all that. I usually resist fall as long as I can, but I also love it so much. The weather is cooling down just a bit here, but It is still that nice transitional period between summer and fall. 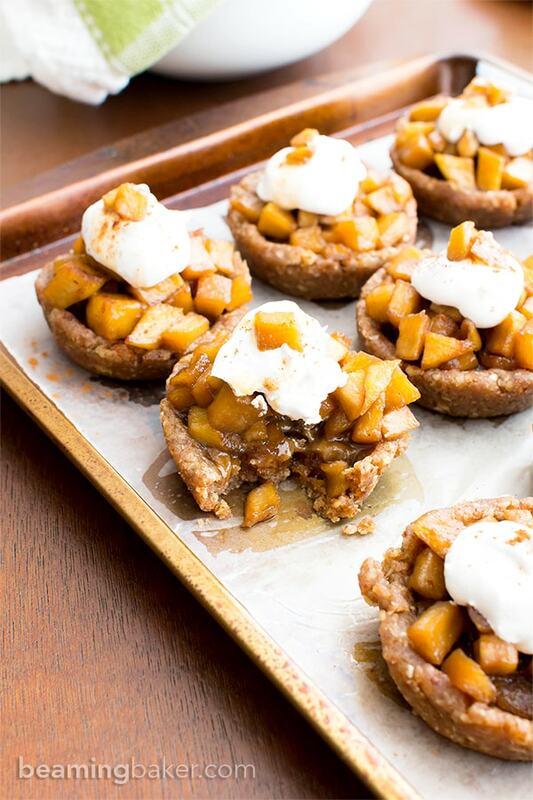 AND I can deal with fall if it means I get these caramel apple tartlets, how delicious!! Pinning! Your mom is so awesome 🙂 as are these tarts! So perfect for fall’s arrival. I can’t wait to go apple picking with my family (a new tradition!) so I can make lots and lots of these! Oh my goodness, these tarts are beautiful. What more can I say? Have a great weekend. I better go apple picking! I can’t believe the first official day of fall is almost here…it still definitely feels like summer around here! The mornings are slightly cooler and the nights are crisp, but the days are hot and humid. 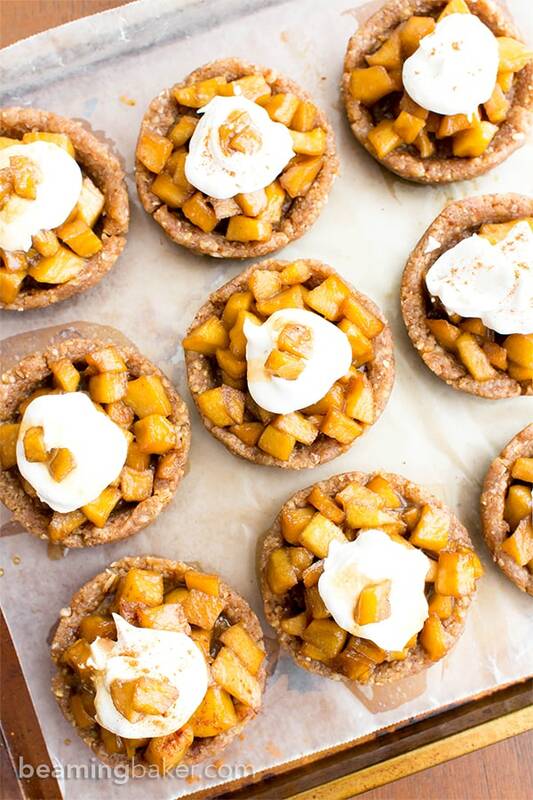 I am loving apple season and these tartlets look so adorable, Demeter! I think I could just eat the entire batch and then some! 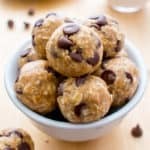 And no-bake is always a winner in my book, too. Pinned, of course! And your mom sounds like such a wonderful woman, Demeter. What a strong lady! So I saw these gorgeous tartlets on IG the other day and I couldn’t wait until I had a chance to check out this post! 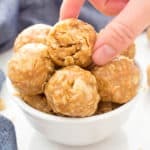 I love that these are no-bake and perfectly individual sized (you know how I feel about sharing, hence the eating closet). I’m also completely on board with turning nouns into verbs and am fully prepared, nay (yes, I stole this from you), crazy-excited to holiday with you 😉 As always, these photos make me want to eat my monitor. Excuse me while I count to ten to get myself under control…. Wow! These are gorgeous! 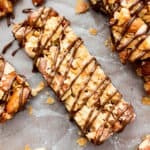 I love the combination of caramel, pecans, and dates! Ah, your mama sounds just amazing. 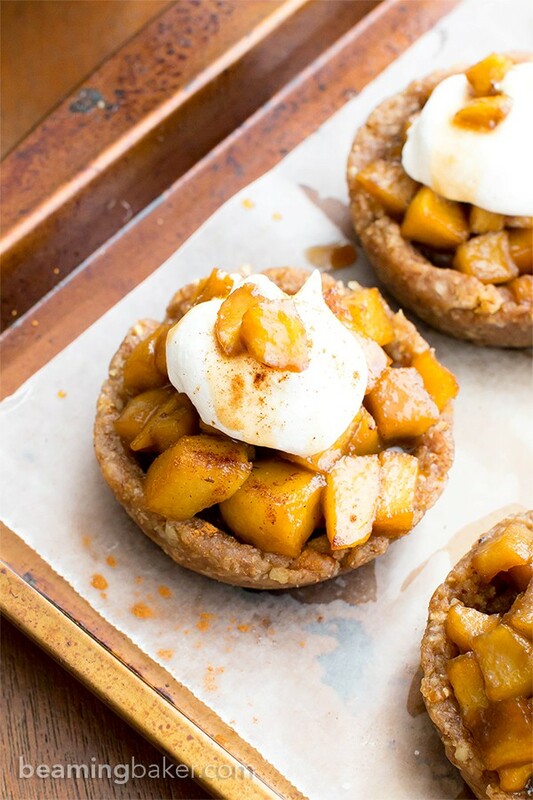 As sweet as these adorable apple tartlets! SO happy to ring in fall this week – and I will be pinning this recipe to celebrate!! 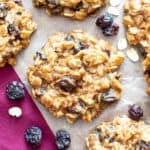 Could almond or coconut flour possibly be substituted for the oats?? (Following strict paleo). Thanks!